Home / Home & Garden / What Makes Modular Homes Sustainable? What Makes Modular Homes Sustainable? Green living has taken the world by storm. While some of us have decided to go green when it comes to food, shopping altogether, and transportation, there are those of us who combine it with producing our own food, using renewable power sources, and even going green with the housing. The latter has been made possible thanks to architect designed modular homes. 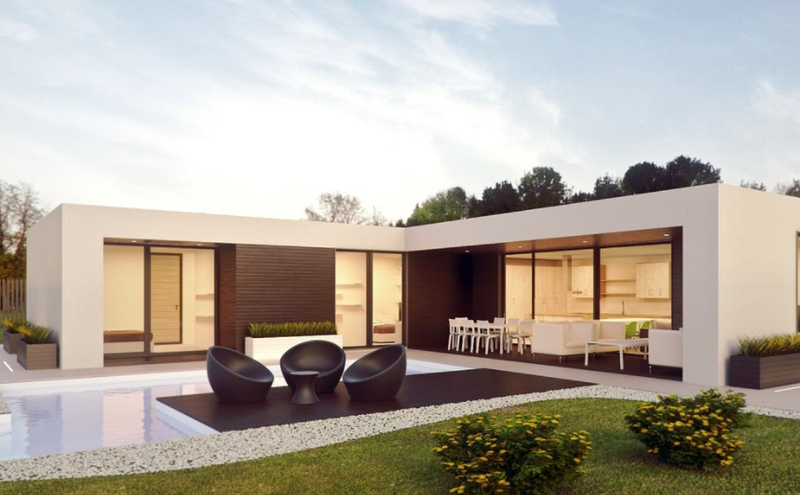 Due to the advancement in innovation, these homes, also called prefab, are now not only sustainable but beautiful as well, so the use of quality materials for the design isn’t at the expense of aesthetics. And no, this doesn’t mean these homes all look the same, on the contrary; every project is designed and built for a specific site, so it depends on the client as well as the site requirements to come up with the result: the architect designed modular homes. This is done through a process of consultation and collaboration with the clients as much as with engineers, contractors, and industry organisations among others, so no, no two houses are alike, they can be customised, varying in size and in style, and the materials being used. Though some people are still skeptical about them, mostly because of the thought traditional homes built on-site are more durable and have a sturdier construction, let’s just say the strength of modular homes comes exactly from being constructed in a factory. They are permanent structures! Since it’s a climate-controlled environment, they are built fast (within weeks to be exact), and there’s less of a chance of weather affecting the materials or the schedule for that matter. Less time spent constructing also implies less pollution, with reduction in the machinery and transport used, including energy and water, which is where the sustainability becomes apparent, meaning there’s less impact on the environment. Let’s not forget, unlike on-site constructed homes, these homes aren’t going to bother your neighbours, or block the traffic, and even if they do, it’s about 90% less. Another difference is that of costs, with modular proving to be the more affordable option. Being designed to perfection, i.e. having pre-cut materials with the necessary dimensions, makes these homes ideal for reducing waste too, more so knowing some materials can be reused for other projects, or recycled. Thanks to the choice of low-maintenance materials, and the incorporation of features that make the homes well insulated, and efficient with the use of energy, water, and waste, they are more cost-efficient in the long run. This is something even those not that eco-aware find appealing.